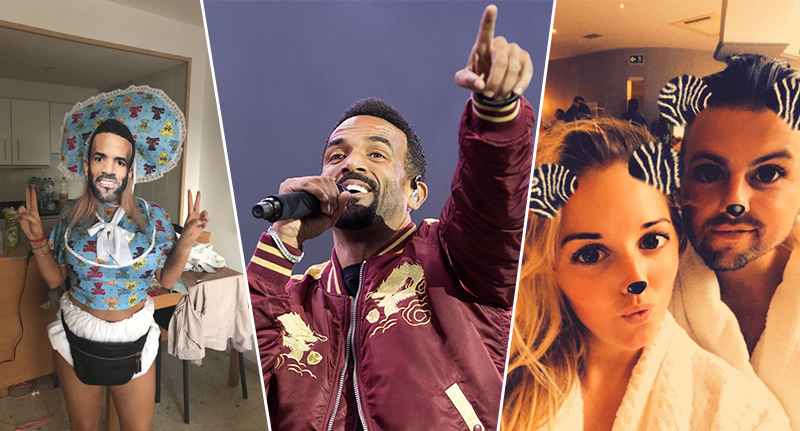 Craig David has made a bride-to-be’s dreams come true by agreeing to sing at her wedding and all she had to do to get him to agree was tweet him everyday for a whole year. The ‘Walking Away’ singer announced his plans this Friday while on Brisbane’s radio station, hit105, while on the phone with the committed fan who Craig recognised almost immediately. That fan is 27-year-old Sophie McEvoy’s, from Marston Green, Birmingham, who’s due to marry her fiancé Richard McCausland in Tenerife on 27 October. Sophie began tweeting Craig back in July 2016 after she saw him in concert in Marbella. Craig clearly made an impression and Sophie sent him a tweet calling him ‘amazing’ and invited him to her wedding but of course he didn’t reply. Her friends and family told her to give up on her mission but Sophie was more determined than that and she continued to tweet him day after day. Everyone has asked if I will continue to tweet @CraigDavid everyday until the wedding? Of course! I gotta finish what I started #day468 ???? I’ve heard of playing it cool @CraigDavid (I don’t do that incase you didn’t know) but no RSVP 3 weeks before the wedding is too much ? Sophie’s fiance even went so far as to say she was ‘bonkers’ and that she had no chance of getting Craig to come to their wedding. All her hard work payed off though when the singer immediately recognised Sophie on the phone and admitted that he had always planned on coming to her wedding. If you don’t do it for me @CraigDavid do it for all the kids I will tell ‘if you want something enough, work hard & you can make it happen’? I’ve been trying to keep it a lovely secret… but I will come through and do a little something for you on your wedding day. I was trying to keep it to the last day… but now we’re on air I can’t lead you on for any longer… it’ll be a pleasure. Sophie was obviously thrilled at the news and took the time to rub her success in fiance Richard’s face adding that she’s pleased to be going in to marriage knowing that she’s always right.